It is virtually impossible not to stare at a screen hundreds of times a day. From our work computers that we are perched in front of for hours on end, to our smartphones that are constantly demanding our attention, having a screen-free day doesn’t seem possible in this day and age. While we might have mentally and habitually adapted to living in an era of phones, tablets, laptops, and desktops, our eyes haven’t. Staring at a screen has repercussions to our vision, and that is simply a fact that we cannot ignore. Resulting in strained, tired, and itchy eyes, and even blurry vision and headaches, our smartphone addiction can negatively impact our eyes. In order to avoid harming our vision any further, it’s important to be mindful of how and for how long we are using our smartphones, staring at these small rectangular screens, and scrolling. For many of us, it’s impossible to not stare at a screen for a day, as most, if not all, of our work happens through a computer. But what we can control, like our use of our smartphones and tablets, should be controlled, not only for the sake of our eyes and vision, but for the sake of our mental health. 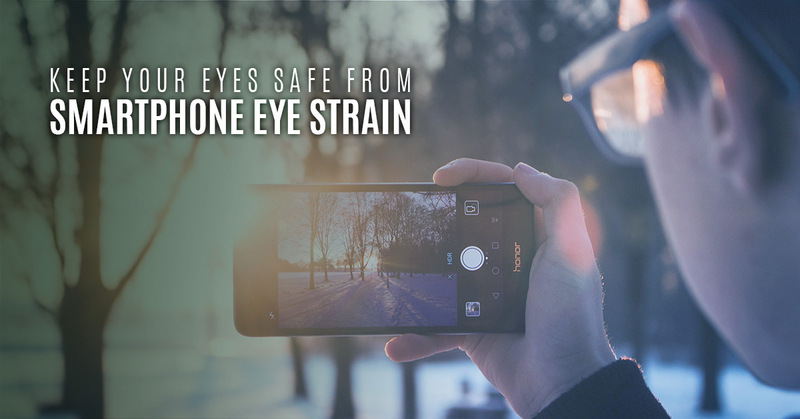 Continue reading this post to learn how to adapt some healthy habits that will work to combat the eye strain from our smartphone infatuation. This may sound like it comes easy and you may think eye moisture happens naturally, but the truth is that staring at our smartphone screens for long periods of time results in dryness and irritation. When we look at these small screens for a while, we are starving our eyes for the natural moisture because we tend to blink less. Being more mindful of how often we blink will increase the moisture in our eyes, resulting in less irritation. If you are still finding it difficult to keep your eyes moist, keep a small bottle of eye drops with you to use regularly. This might be one of the most important tips for reducing irritation and dryness in your eyes. The brighter your screen, the more eye strain you will experience. The brightness of your screen should be around the same as the natural light around you so that you aren’t having your eyes work extra hard to see on the screen. Routine eyecare is essential in general. Ensuring that your eyes and vision are working the way they should doesn’t only benefit your eyes themselves, but your overall health. And in this day and age, when we often find ourselves staring at some type of screen, ensuring that our optical health is up to par is even more important. 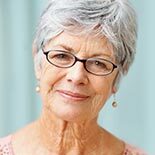 If you are experiencing eye strain from computer or smartphone use, take the time talk with your optician to learn and implement healthy eyecare techniques to reduce irritation. 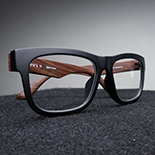 Do you live in the Scottsdale area and are looking to invest in quality eyecare? Contact Visions Optique And Eyecare today to schedule your eye appointment.